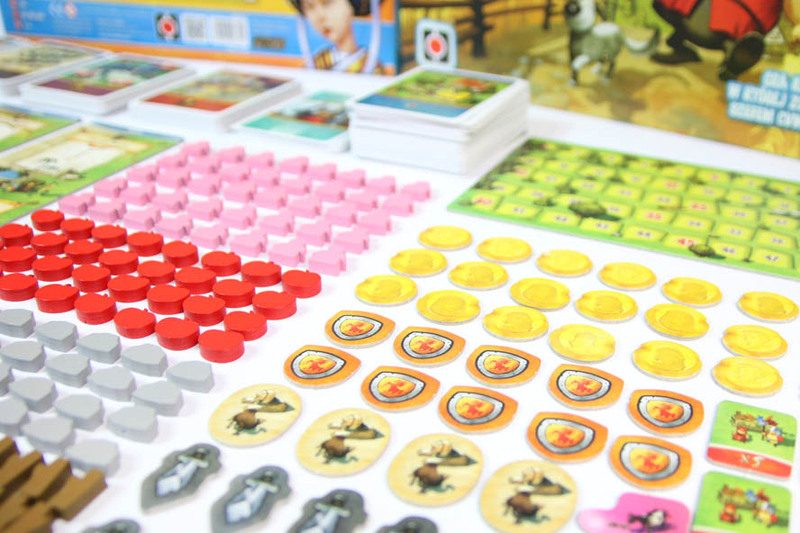 Cute is not often a word used to describe board games. 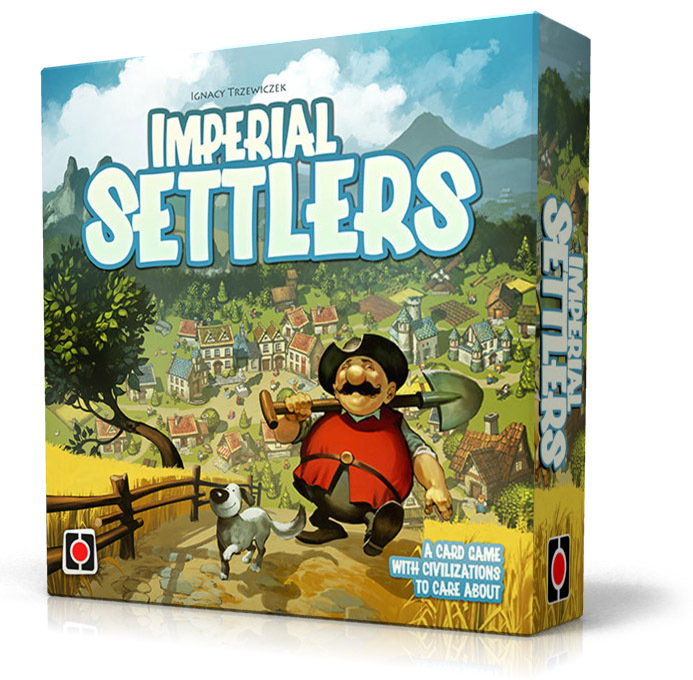 But in this case it’s the perfect word for the look and feel of Imperial Settlers. But behind the cute facade lies a monster of a great game, no not great, awesome. Ignacy Trzewiczek has really outdone himself with this one. While many of the mechanics in the game is based on his previous game 51st State, this takes those (already good mechanics) to a new heights. 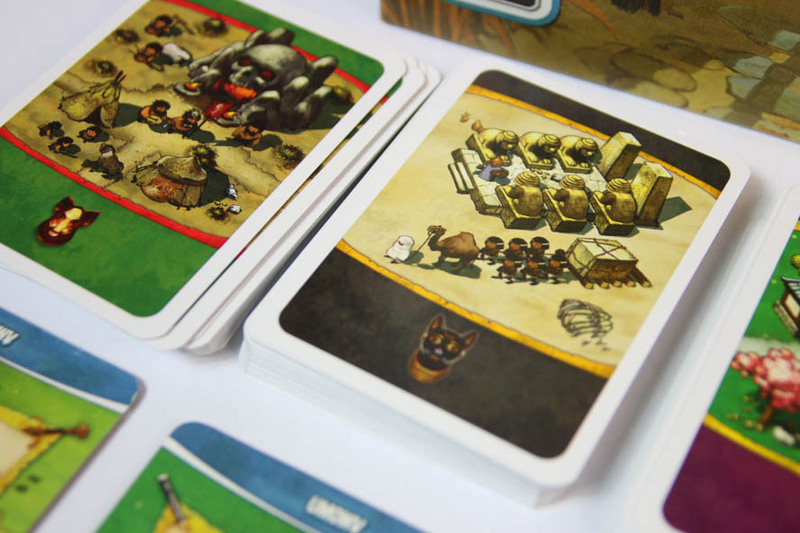 In Imperial Settlers you play one of four factions (Romans, Barbarians, Egyptians, and Japanese) against one or more of the other factions. You have your own unique deck of faction cards and all players share a common deck of cards as well. The game is played over 5 rounds. in each round you get a card from your faction deck and two cards from the common deck. Everyone gets resources each round based on the faction the play and the building they have played. Then players take one action at a time, either building new building (by paying resources), making deals (an alternate use for factions cards), trade for the goods they need, raze cards (either their own from hand or other players common buildings). Razing opponents buildings is where the real interactions comes into and the game sheds it cute and cuddle sheep’s skin, and reveals itself to be a hungry nasty wolf. At the end of the 5th round the player with the most victory points wins (earned from buildings and “produced” during the game). This is simply put one of the best games out there, and if you don’t own it already then you should go out and buy it right now… I mean it go! Imperial Settlers has so many things going for it. It’s cute, has great art, is simple to learn but hard to master, has different civilizations (with different buildings), and it’s a blast to play. Each round of the game is like solving a little puzzle, and sometimes it’s a hard one. This game is a blast to play. The rules are smooth making the gameplay flow easily and people are constantly engaged in what everyone does, it’s not a nice game as such, player interaction can be devastating, so if you’re not into that sort of things then you might not find it as fun. The civilization building theme of this game really shines through in the mechanics. Things make sense rules wise and it doesn’t feel pasted on. This is a beautiful game, not only is the art superb, but everything from the cards to the tokens and player boards tie in so nicely. The very cute art style might not be everyone’s cup of tea, but if you don’t like it you must be a bad person. Not liking the art style is like saying you don’t like puppies. The rules for the game are simple and straightforward.The rulebook is easy to read and understand, and includes a nice summary at the back. It also has a link to an instruction video (see below) that’s also very well done.